to pretty much ANY issues you have. Make your own body scrub. Most store purchased body scrubs are filled with chemicals to give quick results. Quick doesn’t mean lasting, and it doesn’t say it is good for your skin either. Get yourself a tub or a kilner style jar. Use a 2 to 1 ratio of olive oil and salt and mix. The oil will be soaked into thirsty skin, while the salt will get to work on removing dry skin. The cost per use is also meagre in comparison to anything you’ll get in a health store or a beauty store. Coconut oil is a gift from nature. One of the most versatile natural care products, coconut oil, is a must-have in the bathroom. If you dye your hair a lot or have dehydrated hair use coconut as an in-depth condition treatment. Steer clear of the roots as it might leave you feeling a little greasy. Slather a layer from mid-lengths to ends and leave in for as long as possible, if you can, wrap a towel around your hair to get some heat going. Orange you glad I didn’t say banana? Maybe not. Anyway, slice an orange in half and rub it all over your elbows, knees and ankles. The citrus softens up your rough patches and smells a-ma-zing. Banana and Egg. In need of glossy locks? Mash a banana in a bowl, crack in an egg and mix it up. When it is a thick paste, smooth it all over your hair and leave to 30 minutes. Wash out using your regular shampoo, and you probably won’t need to condition all of your hair after this, possibly just the ends. Aside from eating fruit and veg, your teeth are going to little more upkeep. Consider a proper treatment from https://www.implantdentistfresno.com/ to keep them in tip top condition. Dry brushing. This little magic device doesn’t cost much or take a lot of effort but brighten skins, improves blood flow, removes dead skin and helps your lymphatic system. Not only that, but it helps smooth the appearance of cellulite and strengthens the immune system. No chemicals or liquids involved at all. Beauty doesn’t have to be expensive or time-consuming, little things make a big difference to how we feel. I’m sure that, as a mother, you will want to pass on lots of worthwhile advice to your children. Most of the time, the advice and help they most need is related to the lessons that they will learn through life, as well as any tips that can help them to improve and grow as a person. But, when it comes to your daughters especially, you will find that they come to you for help with fashion. After all, a good sense of fashion and style isn't something that we are born with - we need to learn through experience and develop it as we go along. If you think IT's time to sit down with your daughter and give some lasting style advice, here are some of the best tips to pass down to the next generation. There are hundreds of different styles of jewelry out there. You might find that as your daughter goes through her teenage years, she is attracted to the most colorful statement pieces that there is! It’s perfectly fine to experiment through her younger years, but as she starts to age, you might want to try and draw her to more simple and sophisticated pieces of jewelry. That’s especially the case when she is choosing her engagement ring. In fact, it might be worth turning to the likes of diamondexpert.com/james-allen-review when it comes to helping your daughter choose her special ring. It’s not something she wants to get wrong! Your daughter has plenty of time to figure out her own personal sense of style while she is still young. This is something that you should encourage her to do, as it can help her figure out the styles and trends that she prefers, as well as working out the kinds of clothes that work better on her body and shape. Speaking of shape, you should also explain to your daughter why she should always try to buy clothes that flatter her and emphasize her best bits. Once she knows her shape and the type of silhouette that she has, she will be able to invest in some staple wardrobe pieces that will always look a million dollars on her. If she is struggling to figure out what kind of shape she is, it might be worth showing her a guide like https://blog.stitchfix.com/fashion-tips/find-fit-for-your-body-type/. covered in blisters! It’s always possible to find comfy clothes that look great as well, and this is something that your daughter should always try to do while shopping. Why not spend some quality time shopping with your daughter? It gives you the perfect chance to pass on this advice! Being a single mom can be challenging. You have to be two parents in one. You have to tackle all of the challenges that come with being a parent by yourself. However, you also get to have all of the joys and the love to yourself too! If you are currently a single mom or you are preparing for life as one, read on for some useful tips that can help you. Don’t be harsh on yourself – This is the number one rule for any single mom! Don’t be harsh on yourself! Whether your baby is crying all of the time or you are struggling with weaning from swaddling, you should not give yourself a hard time. Things do not go smoothly as a parent. There are always going to be hurdles along the way – this is not a reflection on your parenting. Its just life! Find a work schedule that suits you – One of the most difficult things about being a single parent is that you need to find a way to balance work with looking after your child. The good thing is that there are so many different types of flexible jobs available today, and so you should be able to find something suitable for you. Freelancing is a great example of this. You can work from home and you can tackle jobs as and when it suits you. You may want to rethink your current employment if it is too stressful and there is no flexibility. Don’t worry about a relationship – A lot of single parents worry about relationships going forward. Should you find a man so that there is a father figure in your child’s life? Is your single mother status going to put people off? The only person worrying about these things is you. No one cares whether you date or you don’t date – just make sure you do it for the right reasons, i.e. because you want to! Master the art of counting to ten – It is easy to lose your cool as a single mom because you need to be switched on all of the time and everything falls in your shoulders. This is why you need to master the art of counting to ten. Do not yell, as this will only make you feel worse and it is not good for your child. Instead, walk away and count to ten so you can give yourself a moment to get your thoughts together. Congratulate yourself – Reward yourself when you make a delicious healthy dinner or when your child is finally potty-trained. You won’t have someone there to pat you on the back, but this does not mean your epic achievements should not be acknowledged. Hopefully, you now feel more prepared and confident for life as a single mom. While there is no denying that there will be some hurdles along the way – this is part of any parent’s experience, so don’t be harsh on yourself. Enjoy it and embrace double the amount of cuddles and attention! Preparing Your Body For Pregnancy: What Can You Do? When you’re trying to get pregnant, you can be impatient. It’s just one of those things. When you finally decide that you do want to have a baby, knowing that you have to be patient can be really tough. But if you want to make sure that you have the best chance possible, you’ll want to really work on the right areas of your health. So let’s take a look at some of the things you can do to help prepare your body. The first thing is to really start looking after it. If you want your body to be in a great place to conceive, then treat it well. Make sure that you’re not stressed out or obsessing over getting pregnant, and this can put a lot of pressure on your body. Instead, try to relax. Get some exercise and eat well, as this is going to help your body to get into its best state. Next, you should definitely think about staying on top of your cycle. Make sure that you can track things easily enough, and that you know when you’re going to be ovulating and the best times to try. It’s always great to be in tune with your body as much as possible. 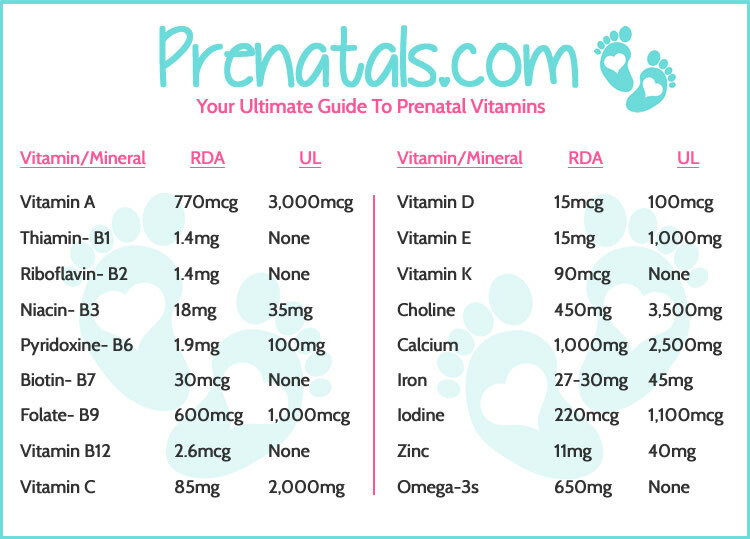 And finally, there’s always the option to take your prenatal vitamins when you’re trying to get pregnant too. As you know, your body needs a lot of support to conceive and to carry a child. So getting as healthy as you possible can right now isn’t going to hurt! If you’ve just relaized that beach season isn’t far away and you want to look your best for the summer, don’t panic! There is still time to flatten youre belly and tone up so that you look as awesome as ever in your bikini. Eating the majority of your day’s calories before 3 p.m is something that can really help you to shed the pounds because you willhave more time to burn those calories off and you will have a longer period opf fasting before breakfast, both of which could result in a much flatter stomach in the next four weeks if you stick to the rule. Going on a juice fast has been shown to help people shed as much as 1-2 pounds per day depending on their start weight, and because you’re taking in lots of nutrioents fro the juice you never feel deprived. You will, however, notice that your stomach is much flatter than it was before. A lot of women shy away from weightlifting because they are worried that it will make them bulk up to Arnold Scwarzenegger proportions - it won’t. What it will do however, is help you to burn way more fat and build muscle that will make your stomach appear much more slim, tight and toned in a matter of weeks. I know! We're not kidding. Companies like http://www.liposuctionsydney.com/ offer a procedure whereby you’re able to have your fat frozen, thus destorying the cells and ensuring that in a few short weeks you look much slimmer than you were before. If you don’t have the time of inclination to exercise your belly flat or the willpower to cut way back on your eating at this moment (although you should definitely try to do both, it is a worthwhile option to consider being pretty uninvasive as it is. It’s surprising how quickly yoga can transform your body. If you do just an hour of stretching for the next month, even if you don’t notice much of a difference on the scales, you will definitely notice that your belly looks more toned, especially if you do the poses at https://www.shape.com/fitness/workouts/best-yoga-poses-flat-abs often. If you can’t make a class, don’t worry there are lots of instructional videos on Youtube and elsewhere. Intermittent fasting really works to flatten the tummy fast because you spend way less time consuming food than you usually would. There are lots of ways to do it from having two days out of the week where you eat just 500 calories to eating for only 1 hour a day ( you must be sure to get all of your calories in) so see what works for you and I guarantee you’ll notice a difference around your middle. Time to get your swimwear out of storage? This list shows some ways to lose weight, but never forget to be true to yourself and accept yourself no matter what. As we go through life, we develop attitudes that help us live in our surroundings. For example, we learn that walking in traffic without looking both ways is a very bad idea when seeing a busy intersection. When we’ve figured this out, we keep it for life. We know that washing colored clothing with white clothing can often lead to some funky but unintended hippie patterns on our work shirts. These are permanent attitudes, and there’s relatively little need to change them. However, some attitudes are transient. It might be that your political affiliation changes at least once every two years, or you change your musical tastes with every Spotify discover playlist you’re given. Some cut to the core of who we are as people. For example, the attitudes we have around self-confidence, or the things we tell ourselves to stay active and productive. One of the best things in the world to think as a default is ‘I can.’ If you know that you can do something, even if that means learning a new skill and practicing, the world is at your fingertips. You’re much less likely to fall into the idea that you can’t achieve something. Think of the most progressive and inventive women in history. They had this mindset. However, that’s not all. ​the following tips can help. We often always think ‘I’ll do this when I’m ready.’ This allows us to take days, weeks, months and years off from our goals. Then, we look around and realize how much time we’ve wasted. No, the only way you can be ready for anything is to decide you are. This means trying your best to never put things off until the perfect day. There never will be the perfect day, unless you make one for yourself. Allowing yourself to say this opens up the entire daily world for you, and gives you the tools to go for it and grow as a person. It’s important to take inspiration from people. For example, seeing powerful women such as the state of Arizona secretary of state can help you chart out who you respect and whom you’d like to emulate. However, when all is said and done, all effort stems from you and what you put forth into the world. With the willingness to author your best intentions, you’ll often find that you’ll be the most original version of you. That also helps you understand that putting things into practice instead of dreaming about them is absolutely fun, and gives you something wonderful to take part in on a daily basis. We hope this simple portion of advice has given you the confidence to transfer from ‘I can’ to ‘I will.’ It could be the best choice you ever make.